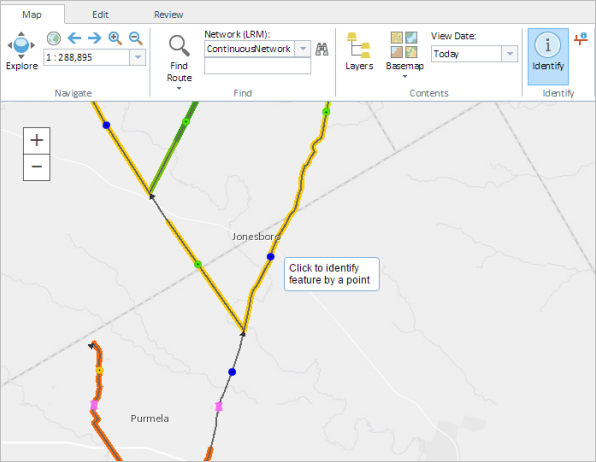 You can use the Identify tool to view attribute values of features in the map. In the Identify group, click the Identify button . 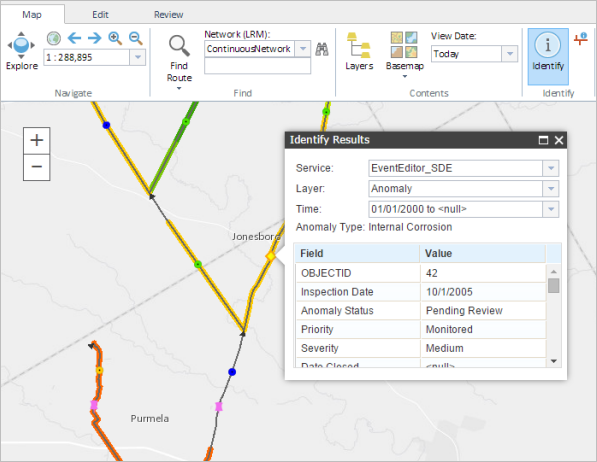 Click a feature in the map to identify and view its attributes. 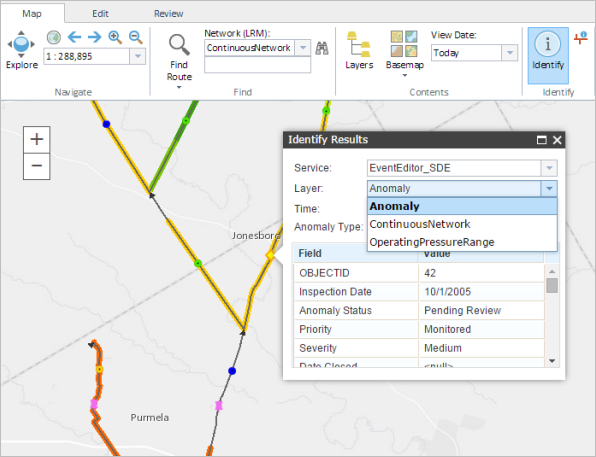 The identified features are highlighted in yellow and their attributes are shown in the Identify Results window. You can set one of the fields for each feature class to appear using the Layer parameter (Route Name in this case). 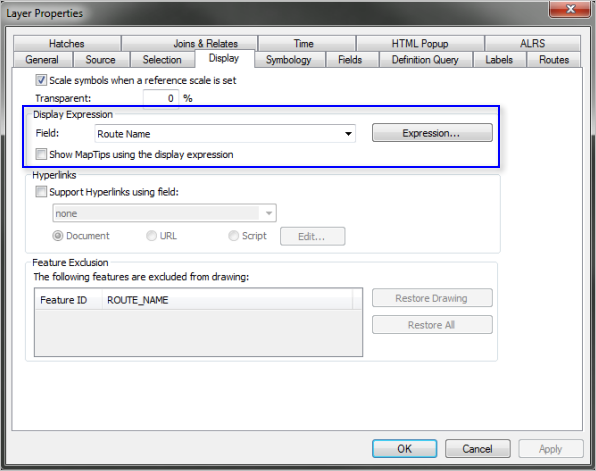 To select a field for the feature class, you need to access its layer properties in the ArcMap document used to create the map service. On the Display tab, select the field from the Field list. If more than one feature layer exists under the selected point location, you can use the Layer list to identify their features. 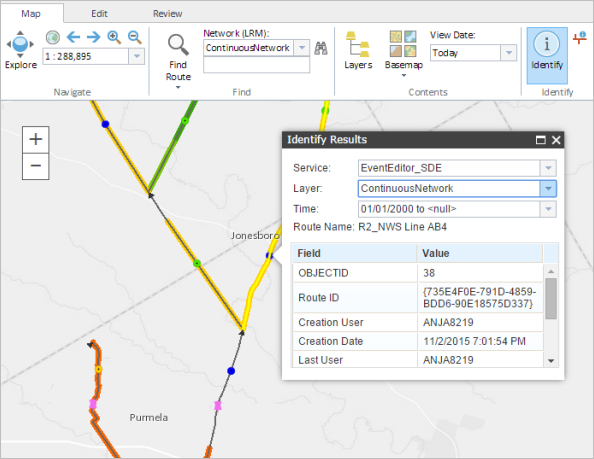 The selected layer's feature is highlighted in yellow and the attributes are shown in the Identify Results window. You can also use the Time list to see all the of the time ranges of the route, event, or intersection at the identified location. The ability to view, edit and add related records is available from the Identify Results window if related tables have been published with your event layers.